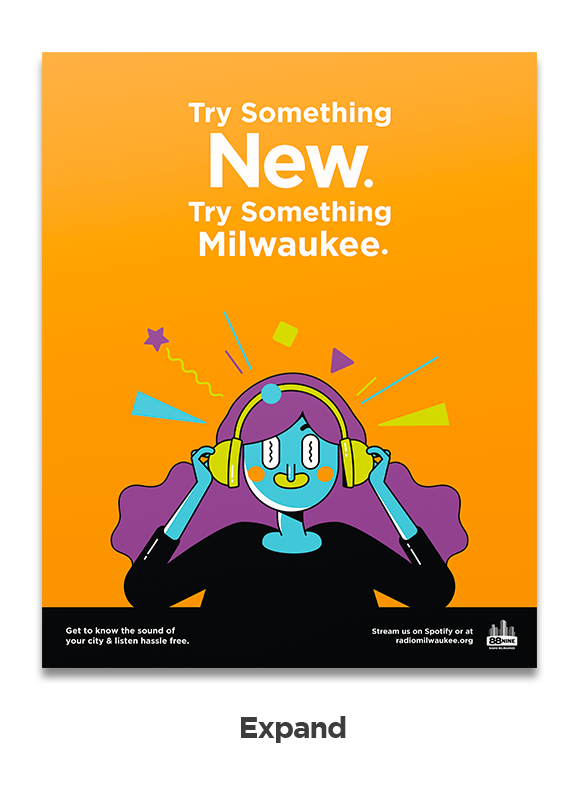 With streaming services stealing radio listeners...this campaign sets out to communicate the unique flavors and opportunities Radio Milwaukee has to offer. 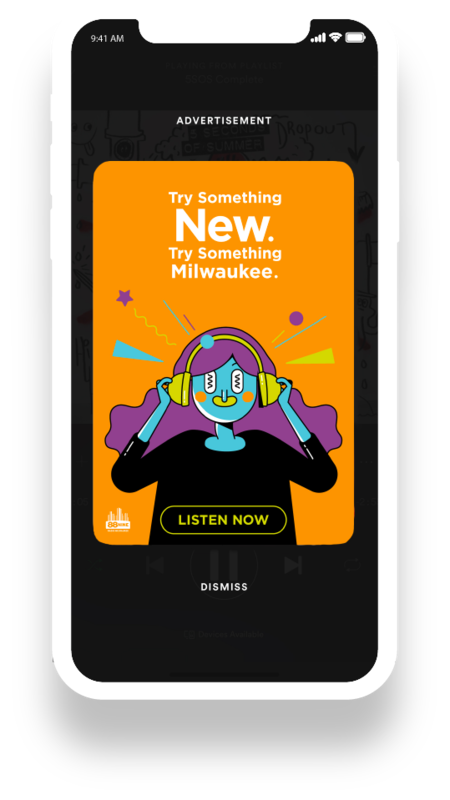 I got to work with 88Nine Radio Milwaukee and my wonderful classmates Kasey Hurst and Julien Wilks to devise this colorful ad campaign. 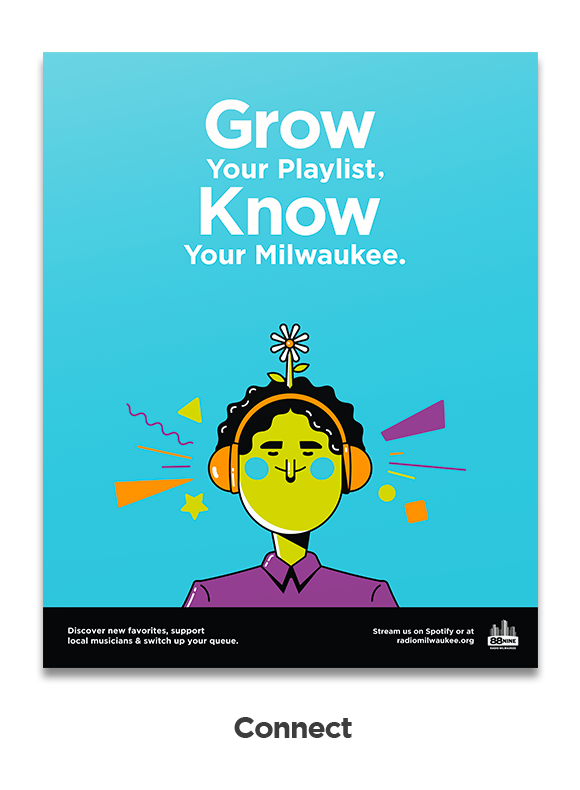 We organized our mission into three core objectives: Be Accessible (Highlight how easy 88Nine's platform is to access), Expand Horizons (Introduce listeners to the possibility of new and genre-bending music), and Connect with Milwaukee (Integreate local music discoveries into listener's playlists), Our poster designs below reflect each of the objectives. 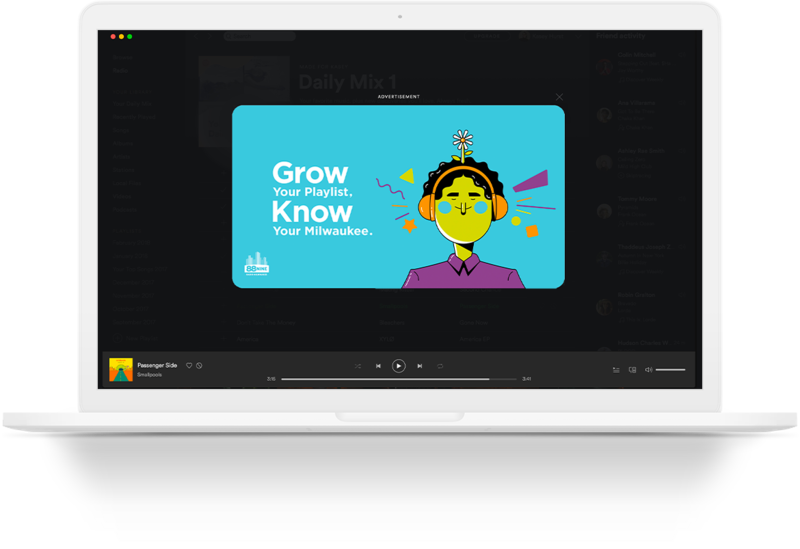 The campaign seeks to reach young Milwaukee music listeners on existing streaming platforms to increase brand awareness and introduce a community driven alternative. 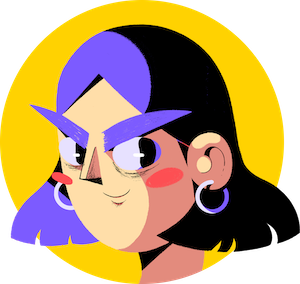 The campaign illustrations also take the form of stickers as free promotional items. 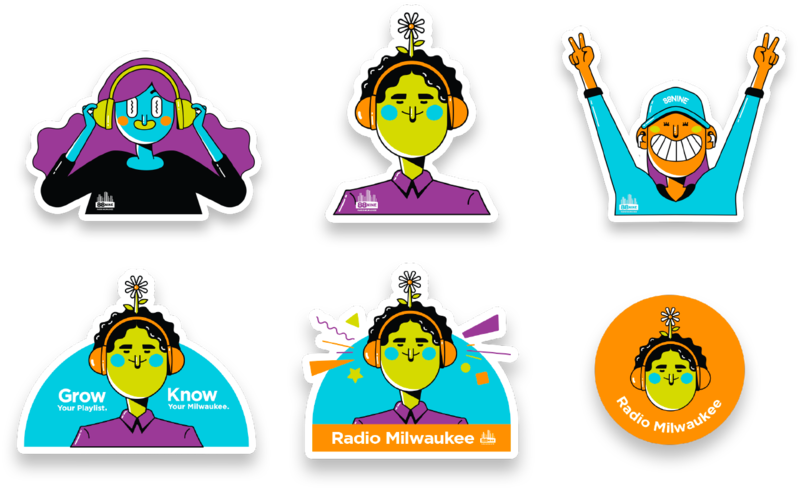 Listeners may decorate and personalize their belongings while promoting 88Nine Radio Milwaukee. 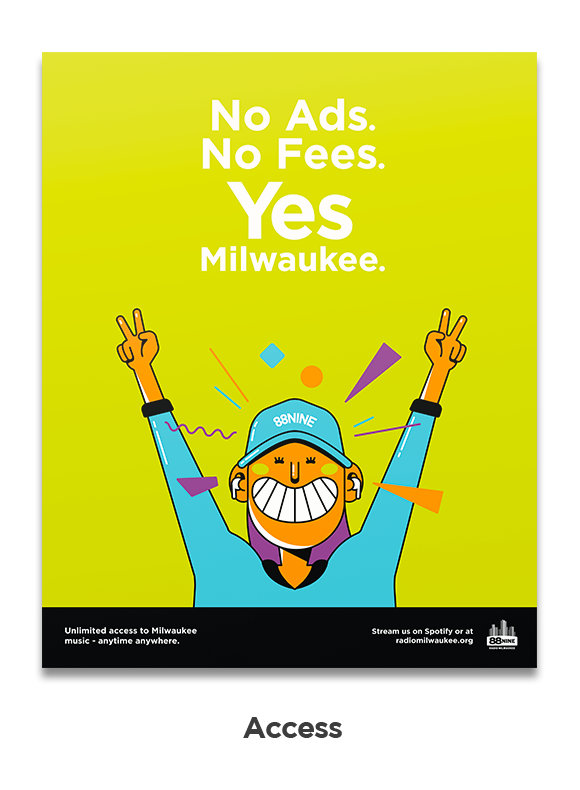 Currently, the "Connect" Character illustration can be seen on Bublr Bike baskets all around downtown Milwaukee Wisconsin!